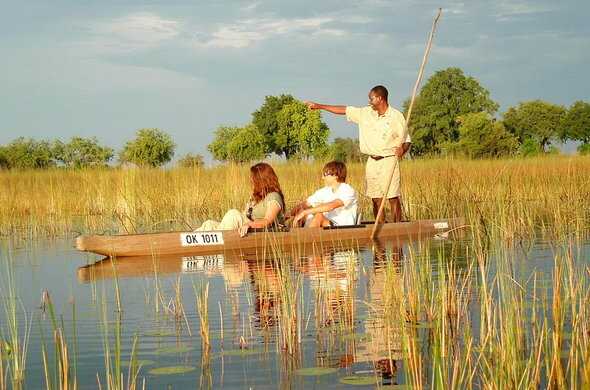 The 5 day Classic Fly-in Savute and Okavango Delta tour combines 2 highlights of Northern Botswana and offers a truly memorable safari in spectacular wilderness areas. Seasonal: Best time is between June and October. Experience the contrasts of Botswana's wilderness on this fascinating safari into the Savuti region of the Chobe National Park and the permanent waters of the Okavango Delta. The Savute area is famous for its large prides of Lion, which once used to hunt Elephant. Large herds of Zebra and Wildebeest migrate through when the summer rains come. The Okavango is a large inland delta in the heart of this harsh landscape which supports an abundance of wildlife. On game drives in the Savute you will also see many other animals such as Tsessebe, Impala, Giraffe, Kudu and Ostriches. The region is dry in the winter and the animals rely on the life giving waters of the Savute Channel. This is in direct contrast to the lush wetlands of the Okavango Delta with its Lechwe and Sitatunga as well as numerous Hippopotamus. Experience the peace and tranquility of being poled through the papyrus fringed channels of the lagoon and set out to explore the palm islands. Go on guided bush walks and learn about the ecology of this beautiful natural wonderland on your Botswana holiday. In the morning you will take a flight from Johannesburg O.R. Tambo International Airport to Maun. Your Botswana safari experience starts with a light aircraft flight from Maun to the Savute airstrip. There you will be welcomed and transferred to your safari lodge. You will have a light lunch followed by time to relax and settle in before you head out on an afternoon game drive. 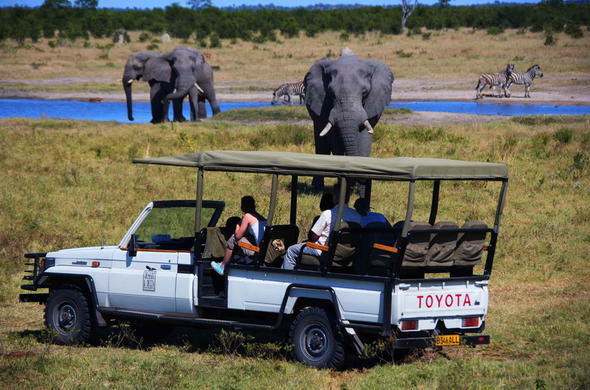 The game drives are led by experienced game guides and are conducted in open 4x4 vehicles. The guides will help you track down game such as Wildebeest, Buffalo and small groups of Elephants. The region is also home to large prides of Lion.You'll return to the safari lodge to enjoy a delicious dinner under the stars. You'll go to sleep listening to the peace and quiet of the African night. The next morning you will set out on intrepid game drives to explore the region. You may go down to the Savute Marsh to see herds of Zebra or may even see groups of Hyenas. You are likely to see large groups of Lion and you may even come across a kill. Professional safari guides will unveil the secrets of the African bush on game drives. Here the dynamic nature of the region can be experienced as the now flowing channel again is filling, and soon Crocodiles and other aquatic life will return to the river. In the afternoon you may head out towards the Gubatsa Hills which shelter Leopard and Klipspringer and contain ancient San rock paintings. Today you will enjoy a final early morning game drive in the Savute region followed by breakfast before a light aircraft flight will take you from the Savute Airstrip into the Okavango Delta. You will spend the next couple of days exploring this magnificent wonderland which abounds with wildlife. 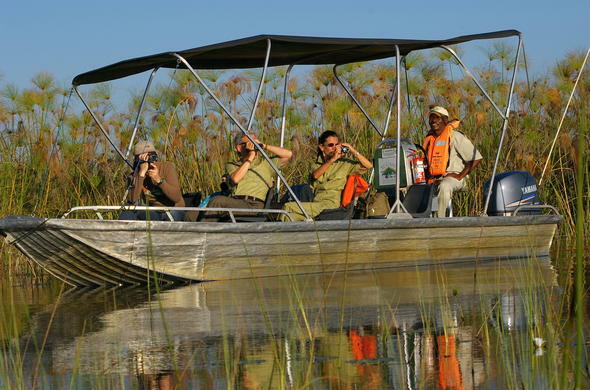 You will be in time for lunch before taking part in a game viewing activity in the afternoon.This could be a mokoro ride to explore the complex waterways of the Okavango. You may even get a glimpse of a rare Sitatunga. 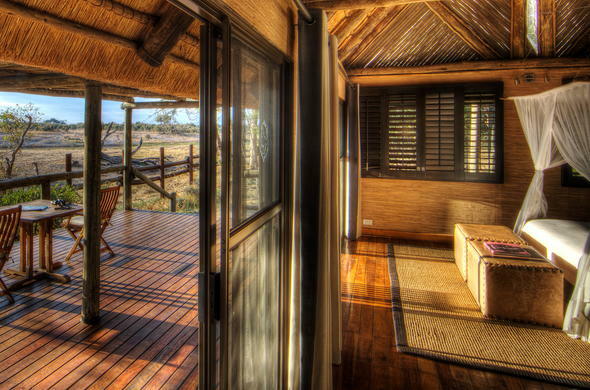 You'll return to the safari lodge where you will enjoy a sunset drink and dinner under the African sky. Today after an early breakfast you will head out to explore deeper into the Delta when on a motorboat cruise. Cruise past pods of grunting Hippos and Crocodiles. Watch African Jacanas flit across the pads of water lilies. 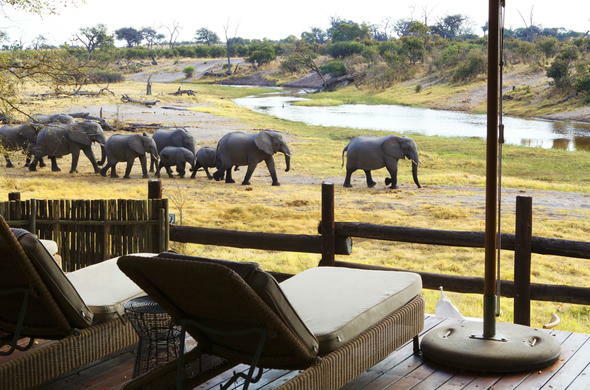 You will stop off and go for bush walks on the islands and floodplains where you may track Elephant or Rhino. This is a great way to get to know the region. This trip can be varied to suit your needs. You'll return to the safari lodge in time for a tasty light lunch followed by some time to relax and see what game wanders past camp. In the afternoon, you'll once more head out in a mokoro to explore the lagoons and spot wildlife. In the evening you can enjoy a wonderful candlelight dinner out on the deck. On the last morning of your 5 day Classic Fly-in Savute and Okavango Delta package you will have a an early morning wakeup call followed by one last game viewing activity and breakfast. 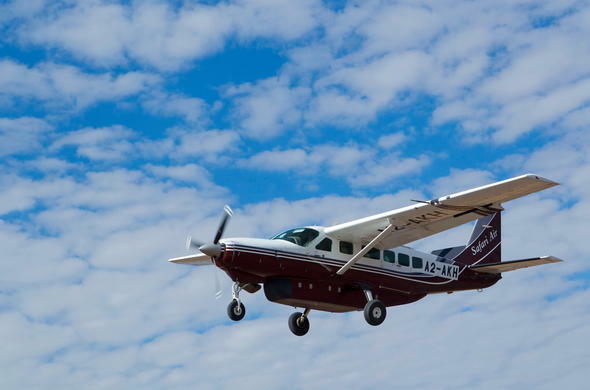 You will then take a mokoro transfer to the lodge airstrip for your flight to Maun, where you will get your connecting flight back to Johannesburg O.R. Tambo International Airport. This classic package is based on a 5 day fly-in Savute and Okavango Delta safari for 2 guests sharing en-suite accommodation. This Botswana tour is all inclusive of meals and scheduled activities with flights ex/to Johannesburg O.R. Tambo International Airport.